Buying a new mattress can be one of the most intimating and confusing shopping experiences you’ll ever encounter. This is especially true if you choose to battle the salesmen army at a brick-and-mortar mattress store. 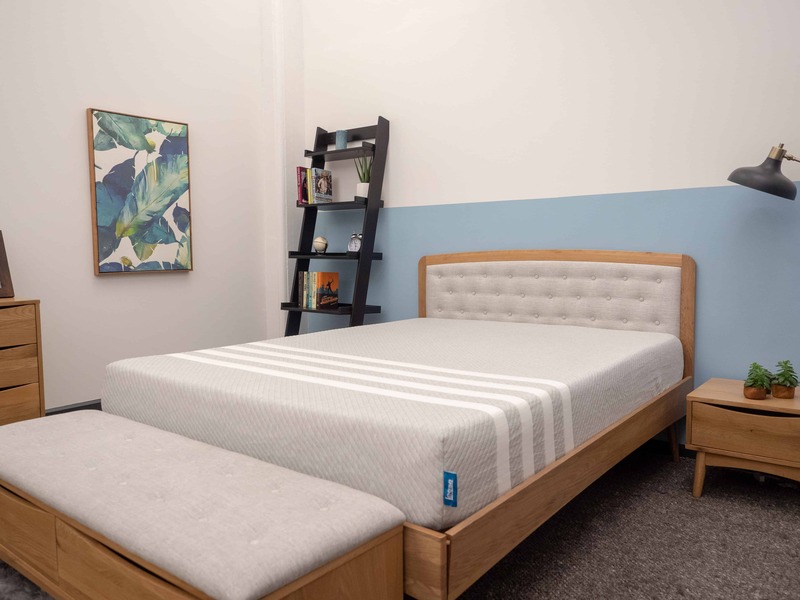 The following mattress buying guide is designed to give you the tools, information, and power you need to make an informed and well-researched decision when shopping for and buying a new mattress. Everyone has a unique list of needs that they are searching for in the perfect mattress. By understanding the pros, cons, and subtle differences between each mattress option you’ll have the knowledge you need to buy the best mattress for you. Continue below for our complete mattress buying visual guide. Prefer to just read the article? Click here to jump to the article start. The most basic, but no less essential question, do you actually need a new mattress? There are effectively two criteria to decide if it’s time to buy a new mattress. Most traditional mattresses are designed to last for around 8 years. Some may not quite make this mark, and others may exceed it by a few years, but in general 8 years is the expected lifespan of a typical mattress. If you’ve had your current mattress for more than 8 years it may be time to buy a new mattress. 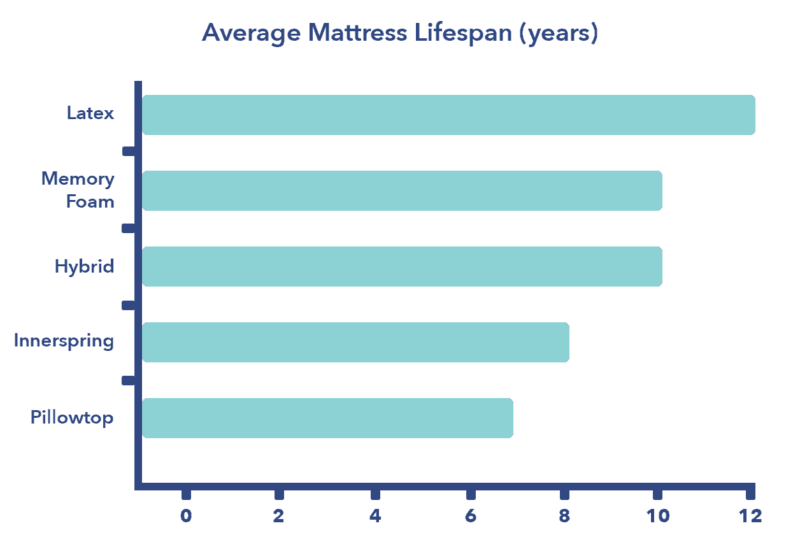 In addition, different types of mattresses tend to last slightly longer or shorter (see chart below). GUIDE: How often should you change your mattress? Are you sleeping well on your current mattress? Even if your current mattress isn’t 8 years old, if you aren’t sleeping well all the sudden sleep becomes a huge priority. If the rest you are getting isn’t recharging you like it used to it’s definitely time to begin shopping around for a new mattress. Are you waking up sore or in pain in the morning? Do you wake up multiple times during the night? Are you unable to get back to sleep quickly after waking up? If you answered yes to any of these questions it may be the result of a bad mattress. Most people spend 1/3rd of their life sleeping. Do yourself a favor, make it good sleep! 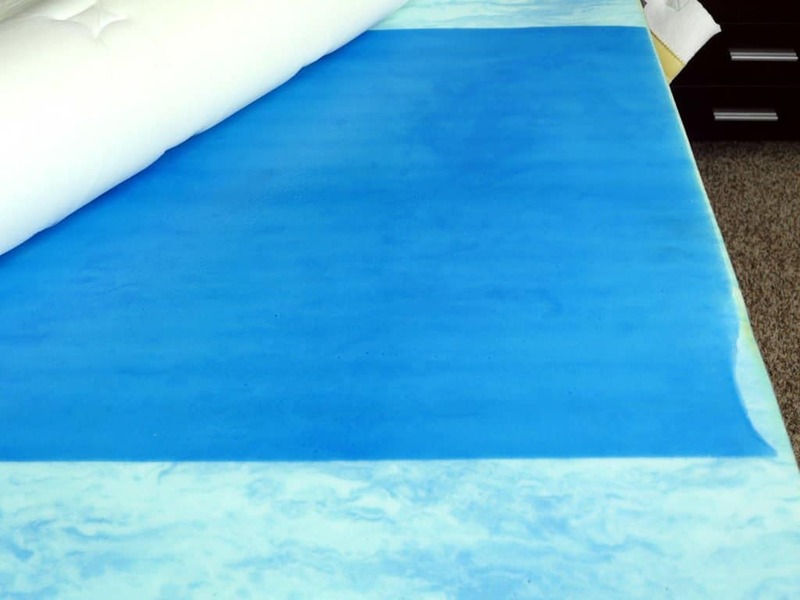 Can your room accommodate this mattress size? For most couples, a queen sized mattress is the perfect balance of mattress sleeping space without taking up too much space within the room. However, if you sleep with pets, children, or you’re larger, you may consider the king option, which offers a little bit more room, especially in terms of width. Likewise, a California King offers even more space. If you’re extremely tall and/or large and have any of the above factors a California King may be a good option. GUIDE: California King vs. King, which should you buy? As technology has progressed so have the number and varied types of mattresses. 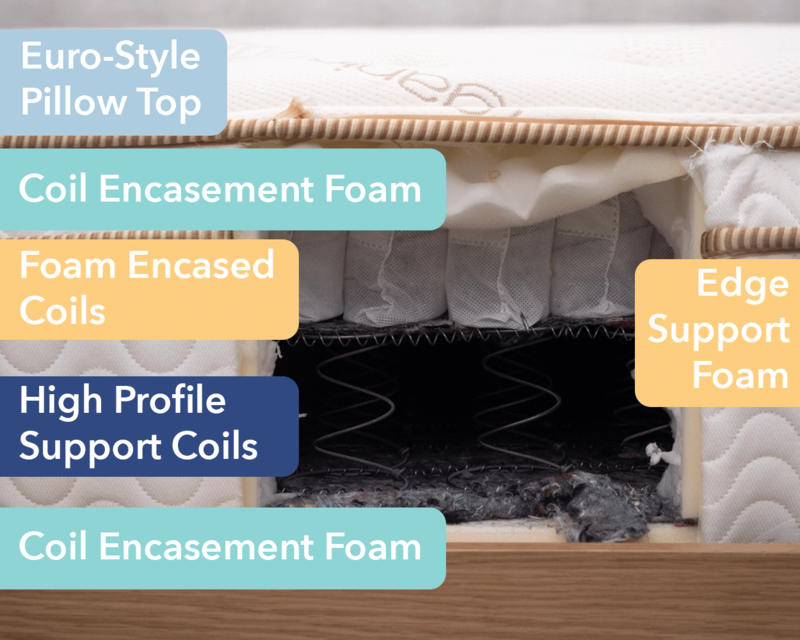 Mattresses are crafted from all types of materials including traditional steel coils, polyurethane foams, gels, air, water, and more. Each type of mattress has its own pros, cons, and unique feel. Spring – The most common type of mattress, probably what you grew up sleeping on, and may even be sleeping on now. These mattresses have one or more layers of metal, generally steel, spring coils that provide the support. Number of coils, coil type, coil units, layers of coils, individually wrapped coils, and other attributes may vary. More coils generally means better support (since you have fewer individual pressure points). Example – Saatva Mattress, spring coil-on-coil 2 layer system. Hybrid Foams – Crafted from a combination of latex, memory, other polyurethane foams, coils, or other materials. These mattresses generally try to achieve support and comfort using differing materials to offer the best of both worlds. 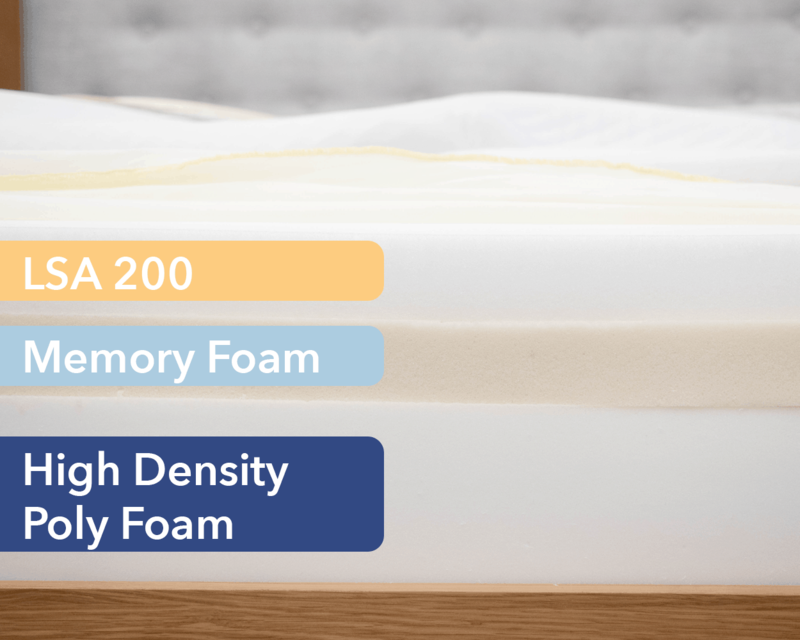 Examples – Leesa mattress built from responsive Avena foam + memory foam. Adjustable – These types of beds allow the mattress to adjust up or down at various positions. They may also allow you to increase / decrease the firmness, vibrate, or massage the sleeper. 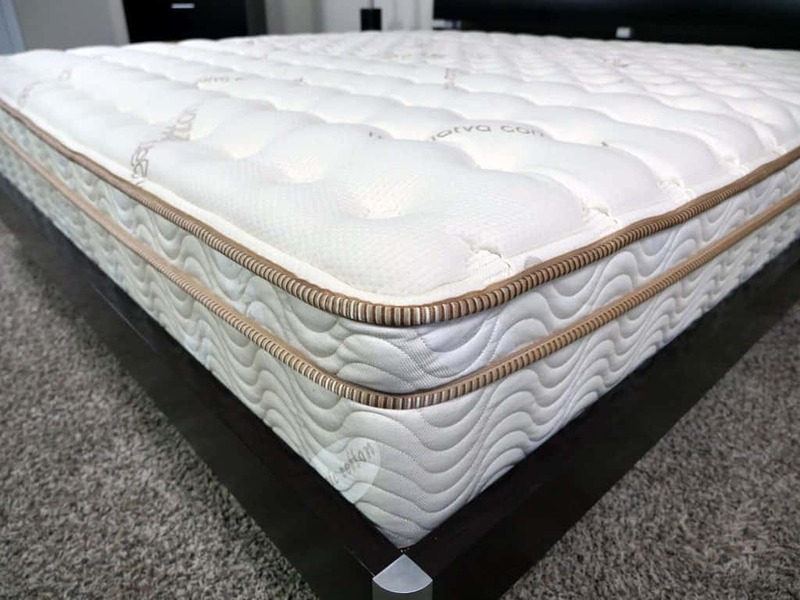 Example – Leggett & Platt adjustable base (note that this is just an example of an adjustable foundation, you’ll need to also purchase a mattress that is adjustable; most foam mattresses are adjustable). Pillow-top – Pillow-top mattresses fall into many categories, they may be innerspring, latex, memory, hybrid, or another entirely. The unique attribute is the layer of soft material sewn to the top of the cover or stuffed inside the cover, adding extra cushion and comfort. Example – Saatva Mattress also falls into this pillow-top category. It is an innerspring mattress with a euro-style pillow-top attached. There are several different places to buy your new mattress. If you’re looking for a specific type of mattress or a mattress at particular price point, that will change the locations that are available to you. The quintessential battle between mattress buyers and mattress salesmen. Traditionally, this has been the only place you could purchase a new mattress. Both department stores and specialty mattress stores offer a very similar feel and similar price points. Online stores can be a great option as they generally have a broader selection and better prices. In addition, what’s better than shopping from the comfort of your home without being harassed by mattress salesmen? Many mattress companies are completely eliminating the middlemen by selling and shipping mattresses direct to customers. In terms of price, there is simply no better way to go. Factory direct mattress shops are my preferred way to buy. You get a much higher quality product for a much lower sticker price than you’ll find anywhere else. Comfort – the mattress above all should be comfortable. When you lay down make sure it doesn’t cause any undue pressure points on your body. Cooling and mattress “breathability” are also comfort factors to consider. Support – support is all about keeping your spine in alignment. If the mattress doesn’t provide adequate support you’ll likely wake up with pain. Motion Transfer – if you sleep with a partner this is especially important, how much do you feel the other person when they are moving during the night? Durability – what is the typical lifespan of the mattress? If it’s much less than 8 years you may want to reconsider. A good warranty is helpful in this area. Edge Support – a mattress with strong edges is important for both sitting and laying near the edge. If the edge sinks dramatically or collapses entirely it can effectively roll you off the bed when you’re getting up or even sleeping during the night. Your preferred sleeping position will strongly influence the mattress you end up purchasing. 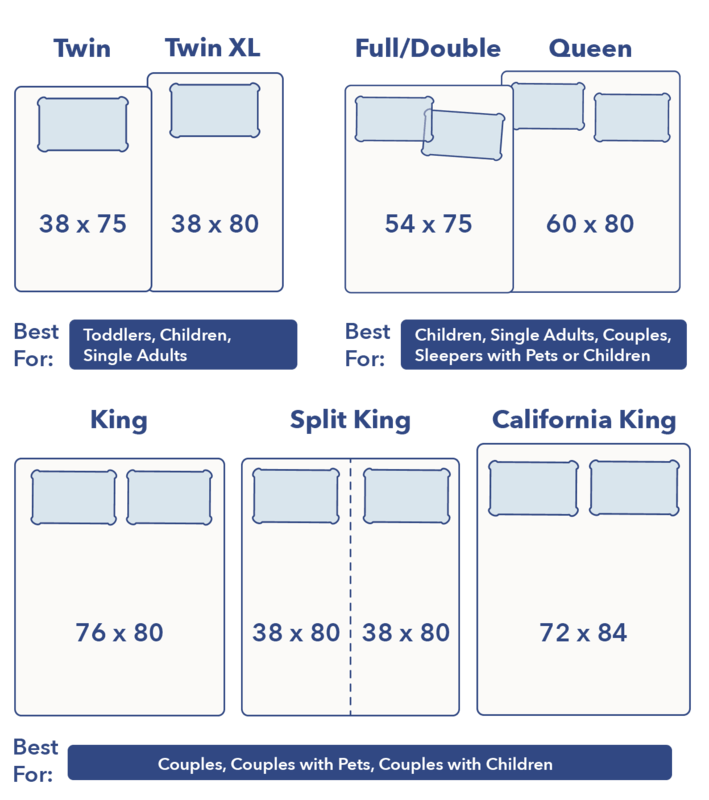 Below is a general assessment of the mattress attributes that each major sleeping position enjoys. Stomach Sleeper – generally stomach sleepers prefer mattresses in the neutral to firmer range. The stomach sleeping position tends to put the back and spine in less than an ideal sleeping angle. By using a firmer mattress you get better support to help keep your spine in alignment. Side Sleeper – if you prefer your side you probably also prefer a softer mattress. The human body when it’s on its side isn’t a straight line. You need the mattress to contour to the curves of your side. Foam mattresses are a great choice here, as they provide superior body contouring. Back Sleeper – typically a mattress in the neutral or slightly firm range is best for back sleepers. The most important factor is providing support for your lower back. A mattress with no give will put stress on your back, but one that is overly soft can inhibit support, creating pain in the lower back. This a difficult question, but the one point I want to stress is that higher price does NOT equate better mattress quality. Many mattresses are inflated with huge markups that in no way reflect the real cost or the quality. 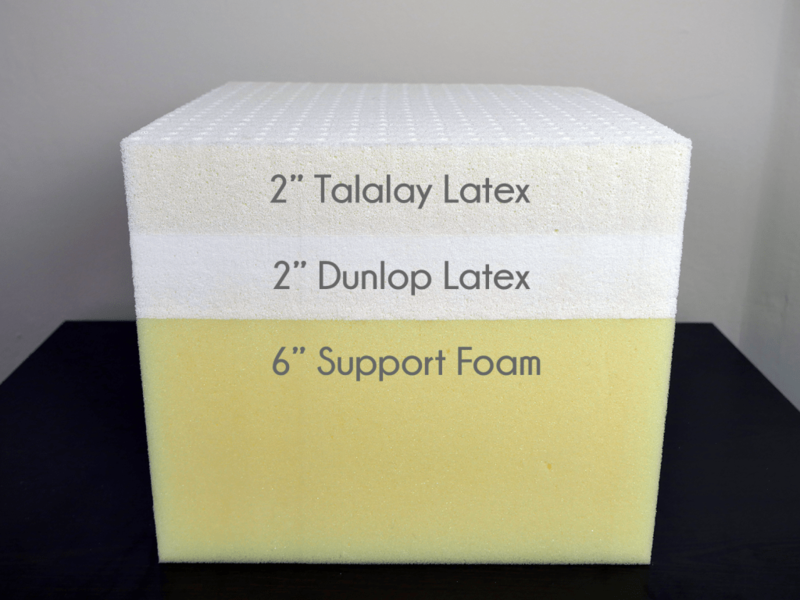 As a reference point, most good foam mattresses cost between $350-$500 to manufacture. Bottom line, you want to get a mattress that allows you a perfect night’s sleep for the least amount of money. To that end, there are a few important items to consider. Extremely Low Prices – mattresses less than $300 are priced at that level for a reason. Price may not reflect quality to a point, but that point is not $300. Mattresses at this price point utilize inferior materials, have lower coil counts, or are otherwise cutting corners elsewhere. 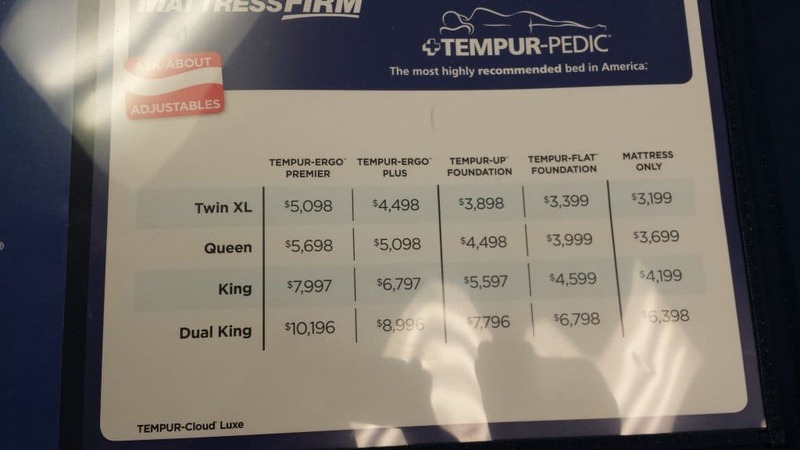 Always be wary of extremely low priced mattresses. Cheap Foam Mattresses – I would recommend avoiding these at all costs. Yes, they are among the cheapest foam mattresses you can find, but there’s a reason. They tend to be lower quality, more toxic, have higher levels of off-gassing, and are generally less durable. Buying in a brick-and-mortar store – if you plan to buy here, plan to to pay more. These stores have a physical building, salesmen, and other overhead costs. You might get a decent price, but you are going to pay more. You could find a comparable mattress online for $1,000 that would be $2,000-$3,000 in a brick-and-mortar store. If you do buy here expect to spend $1,500-$3,000 for a quality mattress. Buying Online – factory direct mattress companies have turned the mattress industry on its head this year. I personally believe that this is the best way to go. Quite simply, you get a better mattress for less money. Most mattresses range from $600-$1,200. It’s difficult enough as is making sure the mattress you like in the store is the one you still like when you get home. 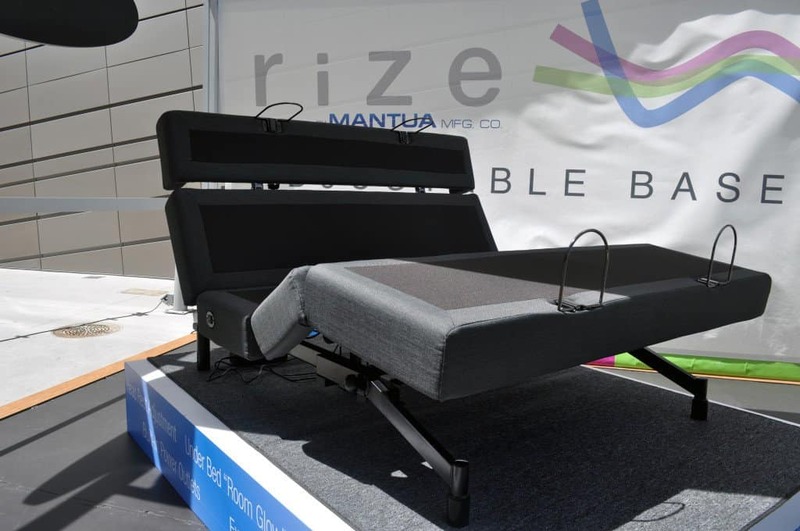 If you do have an opportunity to lay down on the mattress before you purchase, always make sure to give it a minimum of 10 minutes where you lay down. This gives your body chance to acclimate to the feel, your muscles a chance to relax, and an overall much better idea of how you’ll like the mattress during a full night’s sleep. The big question, do you really need a box spring? Many modern bed frames, such as platform beds or any bed with slats, do not need a box spring. The wooden slats serve the same purpose as a traditional box spring. Box springs provide support, allow the mattress to breathe, and of course raise the height of the bed itself. Many mattress warranties require the mattress be supported. If you do elect to forgo the box spring make sure to check your warranty to understand what steps you do need to take to maintain your warranty. QUESTION: Do you need a boxspring? Most mattress companies offer some version of a trial period. However, be sure that terms of that trial period are crystal clear before purchasing. Many companies offer a “comfort guarantee” or similar wording, which may allow you to return the mattress, but not at the full price you paid for it. Or that return may mean you can exchange it for another mattress by the same brand. Many companies who ship mattresses direct from the factory offer much more friendly returns, with in-home trial periods ranging from 75-100 days. The return process for these types of mattresses are generally easier also. 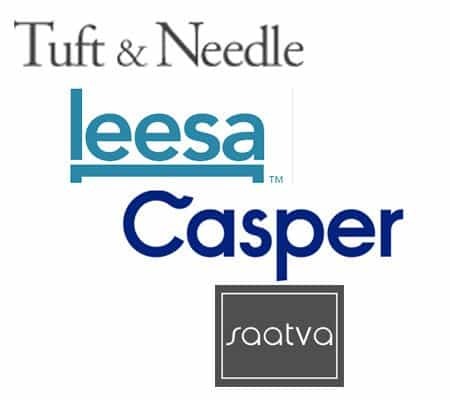 Below are examples of the trial periods you’ll find for many factory direct mattresses. Warranties vary in both length and terms. Just as with the trial period, always ensure you know the exact terms of the warranty, specifically what constituents a defect that would allow you to get a new mattress. Some warranties will also include a prorated period. 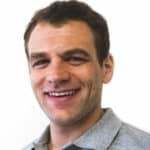 Generally the first few years are full replacement with the remainder offering a prorated refund depending the type of defect. Most warranties are in the 10 year range, with higher-end mattresses occasionally offering warranties in the 15+ range. Below are a few examples of warranty periods of various mattresses. The above warranties may not reflect all models or units of that mattress brand (use as an estimated guideline only). Always check your warranty documents. Various models, years, stores, states, and other factors will determine the exact specifications of your mattress warranty. Congratulations! You are now armed with the basic level of information that you’ll need when shopping for and buying a new mattress. When you head out to do mattress battle remember these final closing thoughts. Feel & Comfort – When looking at any mattress look at the support, comfort, and edge sinkage. When lying down do you feel like your entire body is supported? Is the mattress creating pressure points? Does the edge sink dramatically when laying or sitting on it? Trial Period & Warranty – Confirm the trial period and warranty details. Make sure you know the exact terms for return and refunds, and also double check on what counts as a defect for your warranty. Do you get a new mattress? Or just a percentage of the money back? Both are important questions to get answers to. Test & Negotiate – Test mattresses at several stores to compare pricing and different mattress types. If you are shopping in a brick-and-mortar store environment you can use the prices at nearby stores to negotiate with. Many stores will price match competitors, so always get several price comparisons. And always make sure to comparison shop prices online.